Our cookie jar is empty.... GASP! 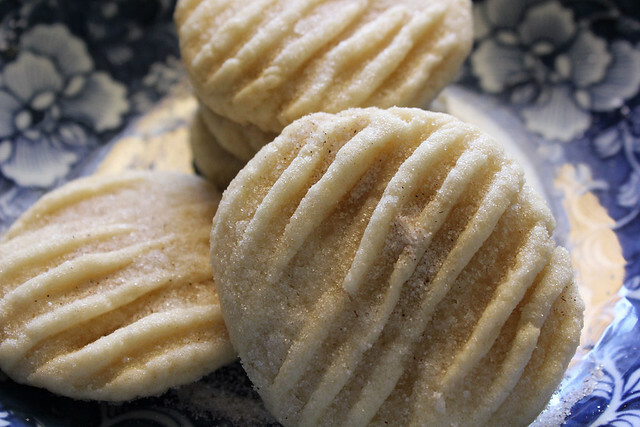 It's never happened before but I think me being a little under the weather, I didn't pay attention to it, so I'm refilling it with some quick and easy butter cookies. 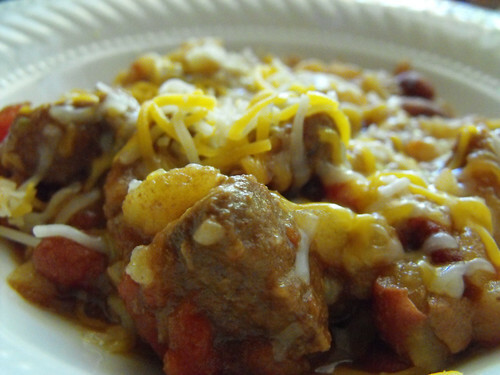 Mix ingredients together and roll into balls. 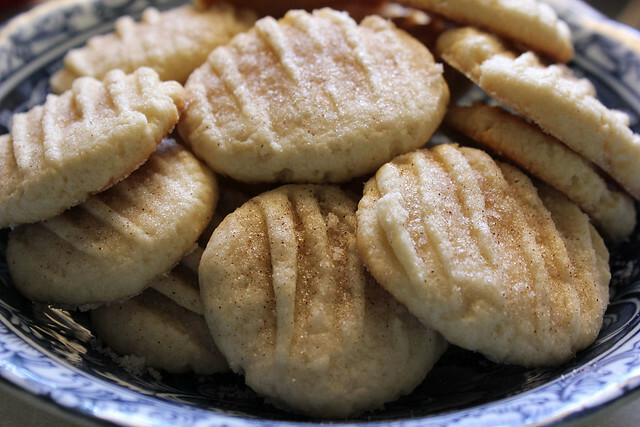 Sprinkle a little sugar on top of each cookie. So good served with a slice of hot out of the oven bread and slathered on with some homemade butter. Enjoy! 1. In a large bowl, dissolve the sugar in the warm water, add yeast. Allow to proof until yeast resembles a creamy foam, about 10 minutes. 2. Mix salt and oil into the yeast. 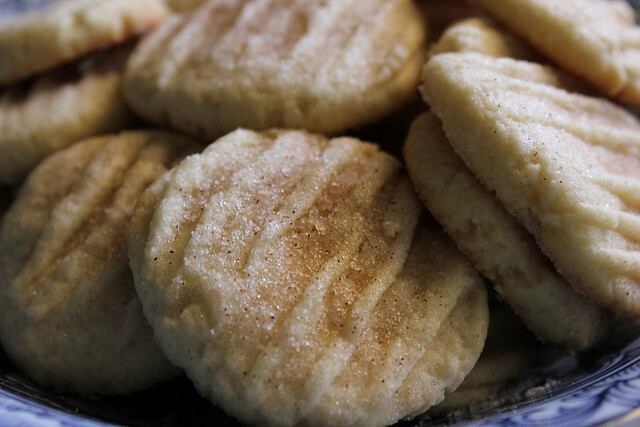 Work in 6 cups of flour. Knead dough on a lightly floured surface until smooth. 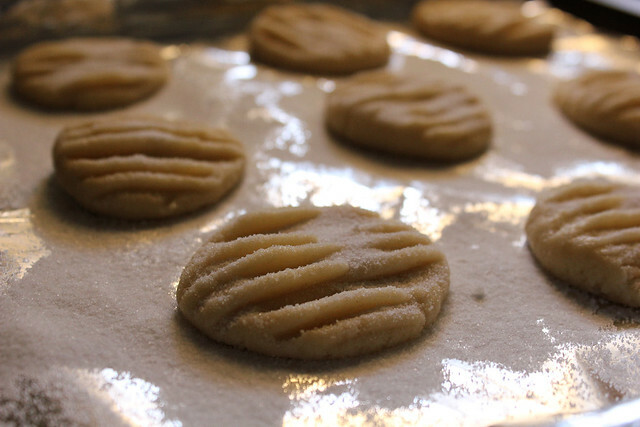 Place in well oiled bowl, and turn once to coat the entire surface of the dough with oil. Cover with a clean damp cotton cloth. 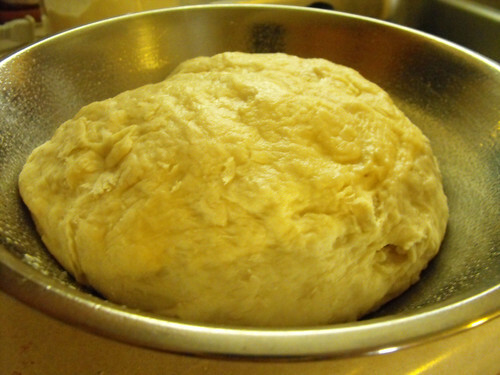 Allow dough to rise until double in size. (Mine took about an hour). 3. Punch dough down. Knead for a few minutes, and divide in half. Shape into loaves and place into well oiled 9x5 loaf pans. Allow to rise for 30 minutes. 4. Bake in a 350F oven for 30 minutes. 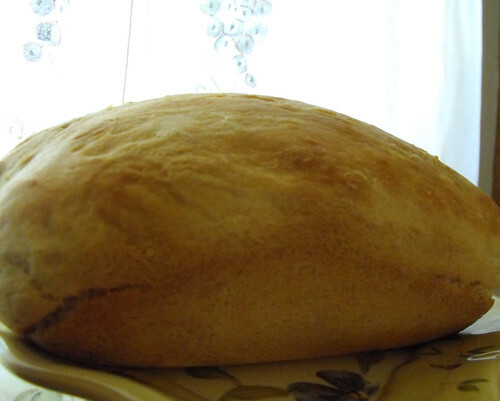 When you thump the top of the bread it should sound hollow. For a buttery crust, brush hot loaves with butter. Cool on a rack and enjoy! 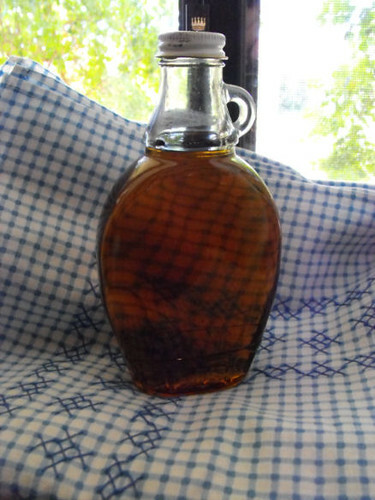 There's nothing like pancakes or waffles with maple syrup, but it's even better when it's homemade maple syrup. 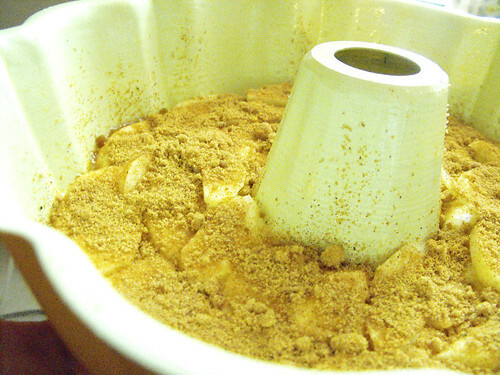 Mix the white and brown sugar with the water, bring to a boil. Add the vanilla and maple, mix well and let cool. This syrup does not need refrigeration. I just use a cute little glass bottle for mine. 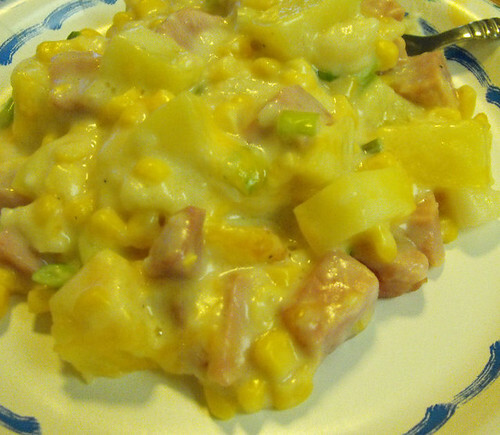 Comfort food at it's best, ham, potatoes a creamy sauce and cheese. My kids love it! Boil your potatoes until they are ALMOST done, they still have to cook in the oven for a while longer. 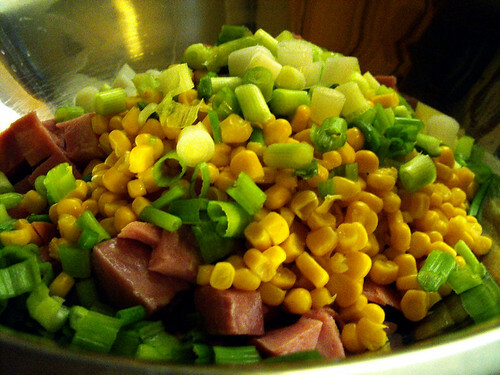 Drain off the water, add in the ham, corn, parsley, butter and green onions. Mix well. 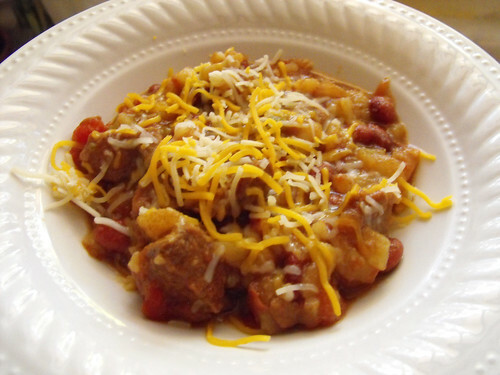 In a small pot, add the milk and cook over medium heat until it just starts to want to boil, add in the flour and the remaining sauce ingredients and stir until thickened. Pour the potato mixture into an oven proof dish, pour the milk mixture over, sprinkle some more cheese over and cover with foil. 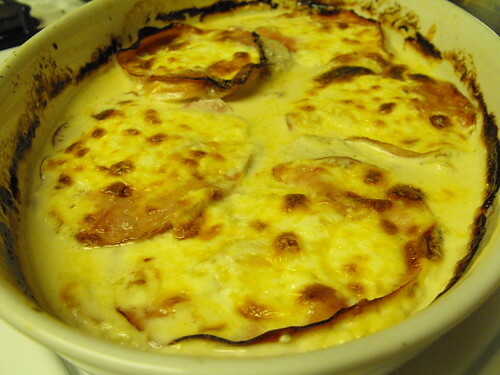 Bake at 350 degrees for 30 minutes or until potatoes are done. 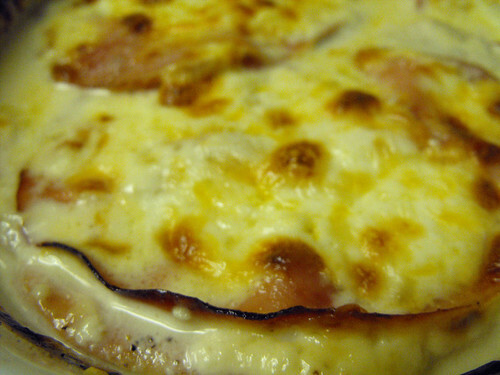 Remove foil and bake for a few minutes more until cheese is completely melted and browned. 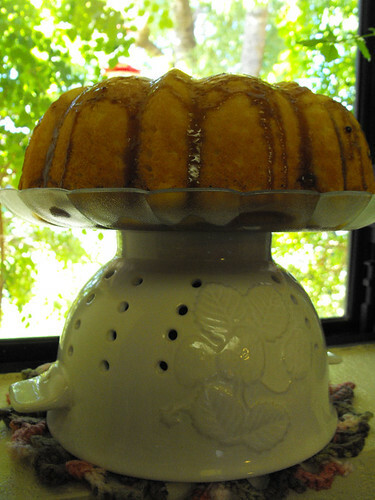 My husband was craving a cake yesterday afternoon so I whipped up this delicious buttery pound cake, it has a brown sugar glaze and inside a layer of thinly sliced apples, with spices like cinnamon and nutmeg it's just so good. 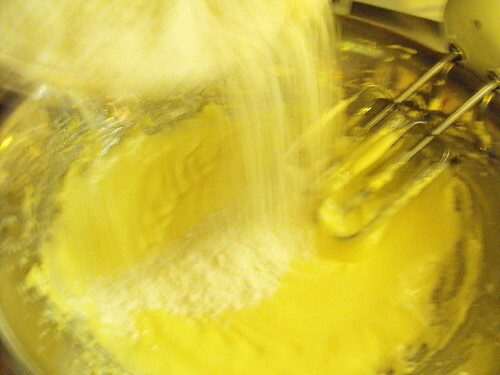 Beat 3/4 cup butter at medium speed with an electric mixer until creamy. 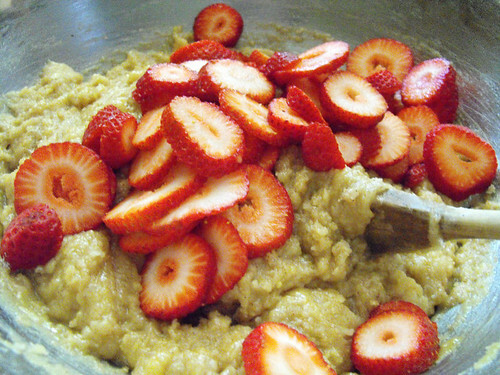 Gradually add 1 1/2 cups sugar, beating 5 to 7 minutes. 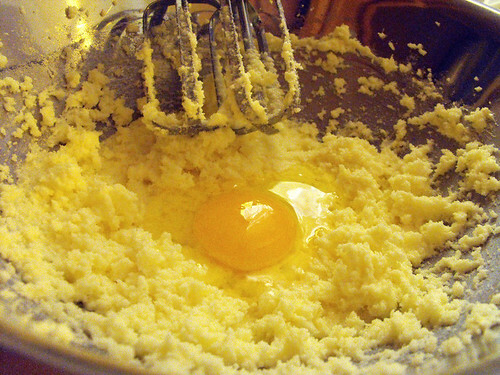 Add eggs, one at a time, beating just until yellow disappears. 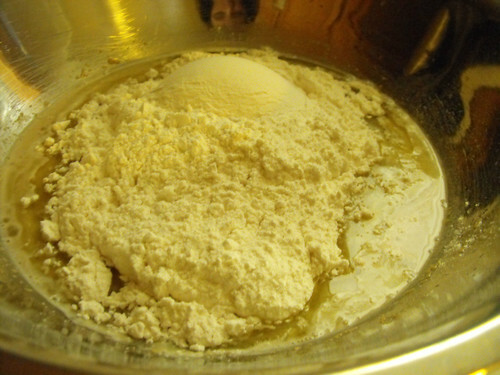 Combine flour, baking powder, baking soda and salt in another bowl. 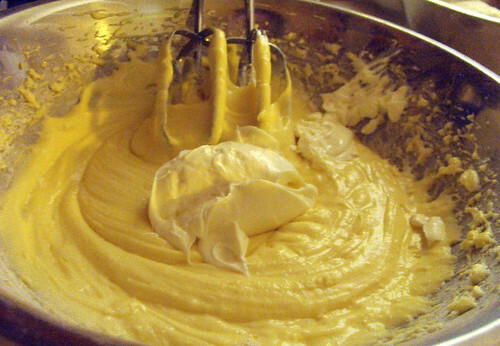 Add sour cream and flour mixture; beat at a low speed after each addition just until mixture is blended. Stir in one teaspoon vanilla. 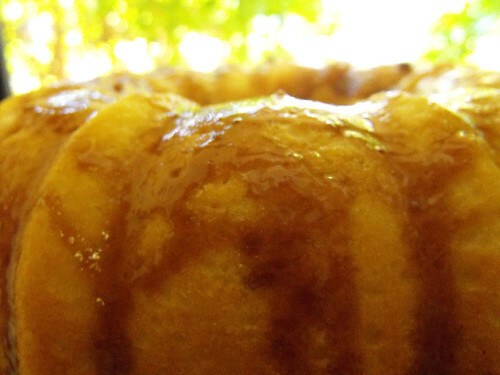 Spoon half of batter into a greased and floured 12-cup Bundt pan. 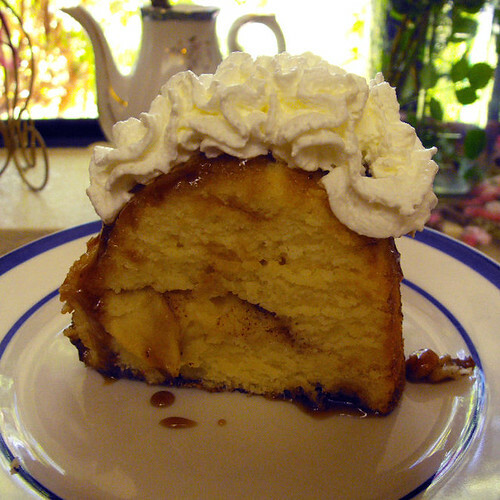 Arrange apple slices over batter, then spoon half of brown sugar mixture over apples; gently press into batter. 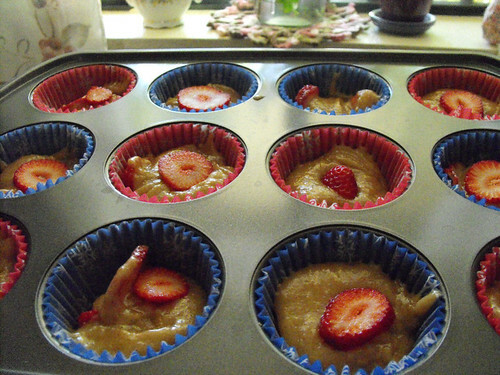 Top with remaining batter, then sprinkle with remainning brown sugar mixture. 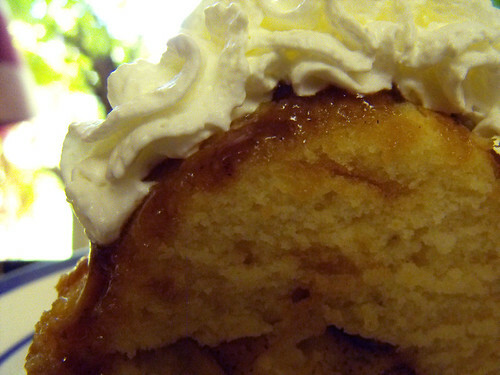 Bake at 350 degrees for one hour or until a toothpick inserted in center comes out clean. Cool in pan on a wire rack for 15 minutes; remove from pan and cool completely on wire rack. 3. 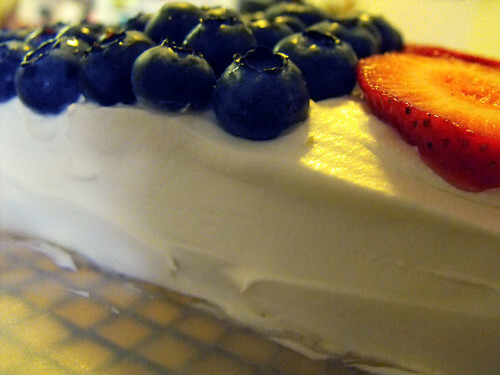 Mix ricotta cheese, 2 Tbs. of the olive oil, ½ tsp. 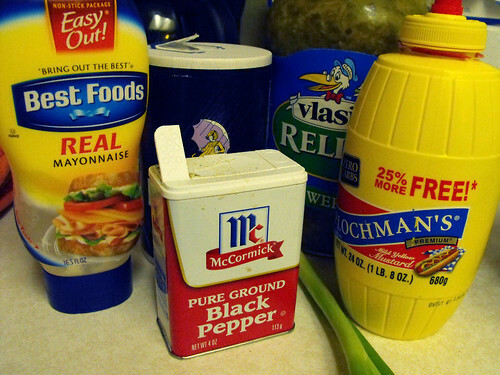 salt, and ½ tsp. pepper together; set aside. In a separate bowl, toss the mozzarella and Parmesan together until combined; set aside. 4. Add 1½ Tbs. salt and the pasta to the boiling water and cook, stirring occasionally, until the pasta is just beginning to soften, about 5 minutes. Reserve 1½ cups of the pasta cooking water, then drain the pasta. Return the drained pasta to the pot and stir in the marinara sauce, sausage, remaining 2 Tbs. oil and reserved pasta cooking water. 6. Adjust oven rack to middle position and heat oven to 400°F. Cover dish tightly with aluminum foil that has been sprayed with vegetable oil spray (or use nonstick foil). 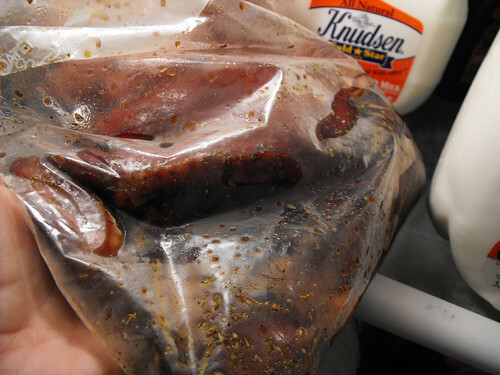 Bake until the sauce bubbled lightly around the edges, 30 to 40 minutes. 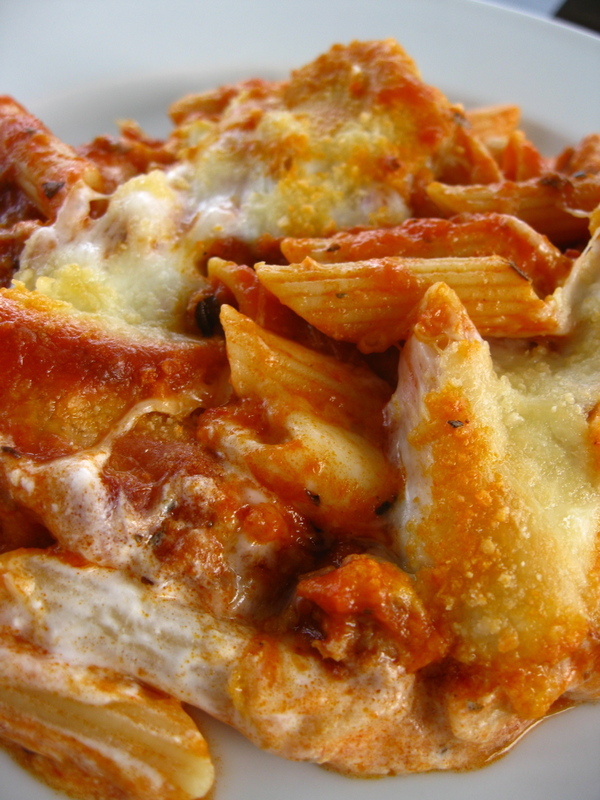 Remove the foil and continue to bake until pasta is completely heated through, 25 to 30 minutes longer. Sprinkle with basil before serving. 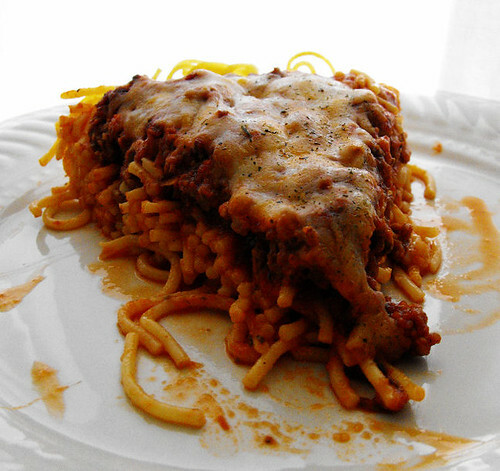 An old favorite.....Spaghetti Pizza Pie. 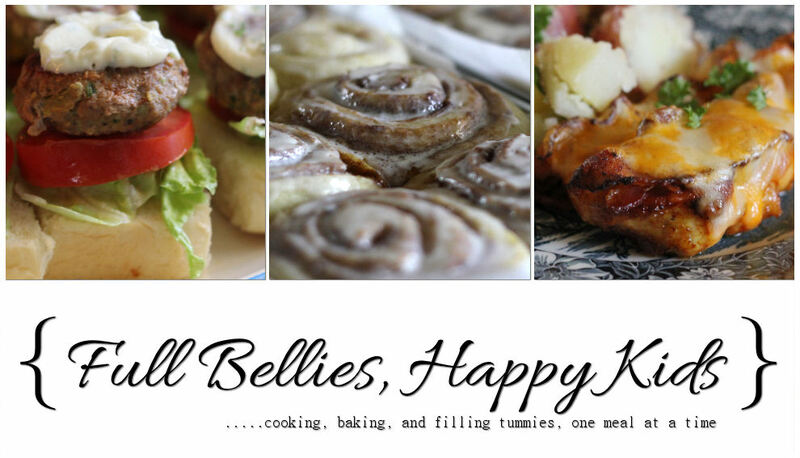 I just reposted the recipe and included photos, enjoy! 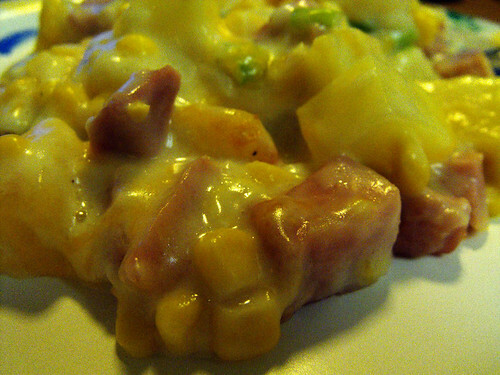 We all know that a good Cordon Bleu has the ham and cheese rolled *inside* the chicken or turkey, but during one of my busy days I came up with this inside out cordon bleu which the family loved. 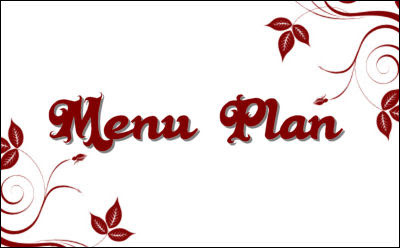 Hope you enjoy it too, it is super quick to put together and really tasty. 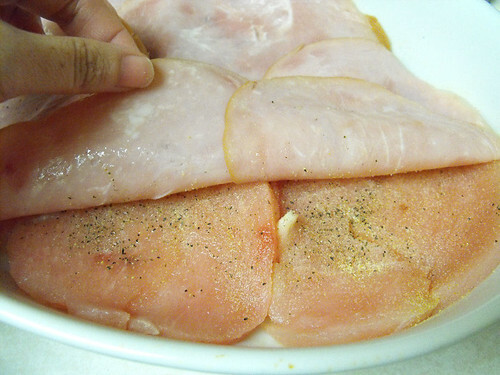 Grease a baking dish and layer the turkey tenderloins on the bottom. Sprinkle with salt and pepper and garlic powder to taste. 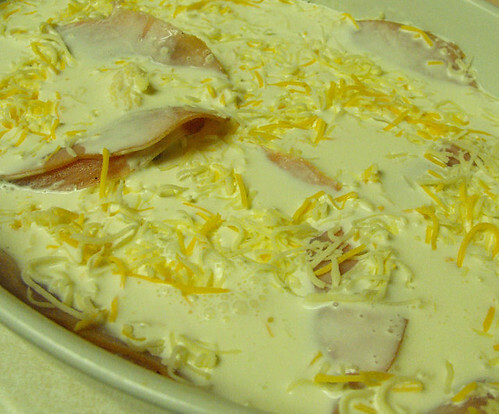 Place a layer of Ham followed by the Cheese and then pour about a cup of heavy cream over. Bake at 450 degrees for about 25 minutes or until turkey is done, the cheese is melted and browning and the cream is bubbly. 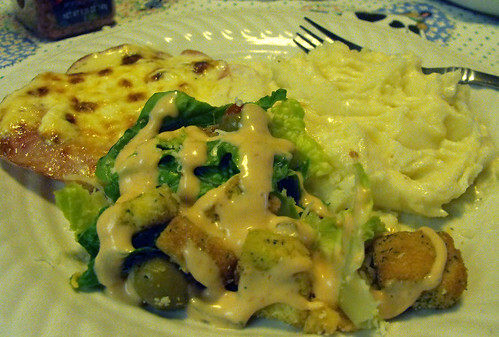 Serve with mashed potatoes. 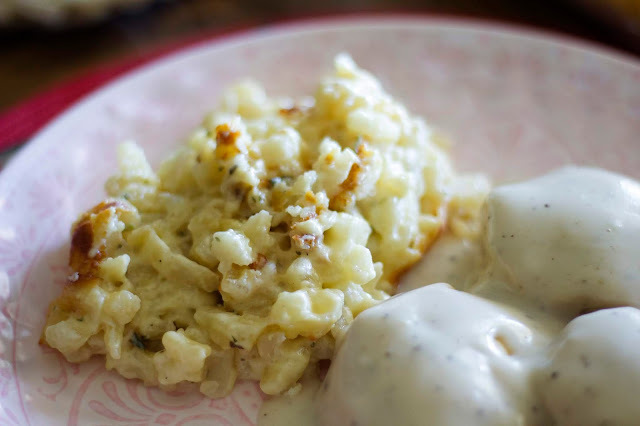 We like to use the creamy gravy on top of the potatoes. Enjoy! 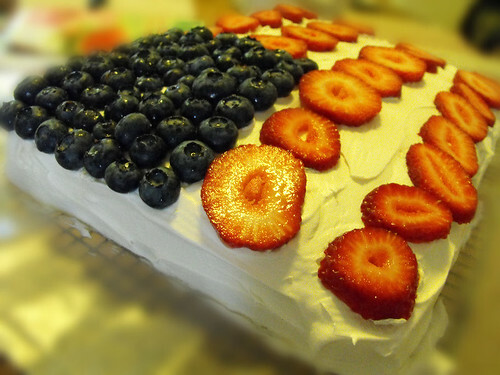 We always have this cake on the 4th of July, it's super easy to make and it looks cute and it tastes SO good. Get the kids in on the decorating! 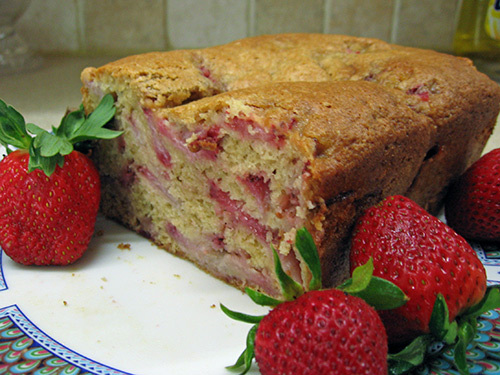 Bake the cake according to box directions, in a 9x13 inch pan. 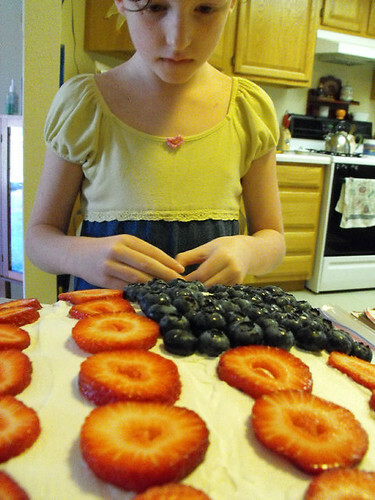 Let cool and then turn out onto a cooling rack. I like to put a piece of wax paper underneath to keep it from sticking to the rack and to make it easier for cleanup. 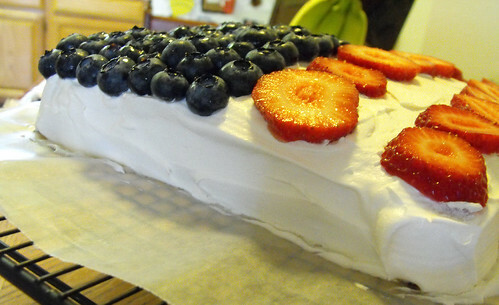 Cover the cake with cool whip and then decorate using the blueberries for the stars and the strawberries for the stripes, leaving a line of cool whip between each row. 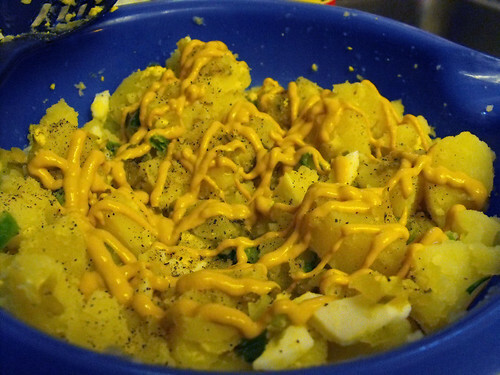 I think potato salad is one of the most versatile dishes you can prepare and nearly everyone has at least one or two different ways of making it. This is the way I prepare mine and it's my family's and friends favorite. 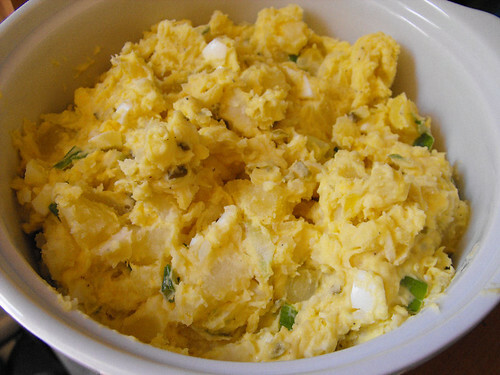 Fill a large pot halfway with water, add the potatoes and the eggs, season with a little bit of salt. Boil until the potatoes done, yet still firm, let cool. 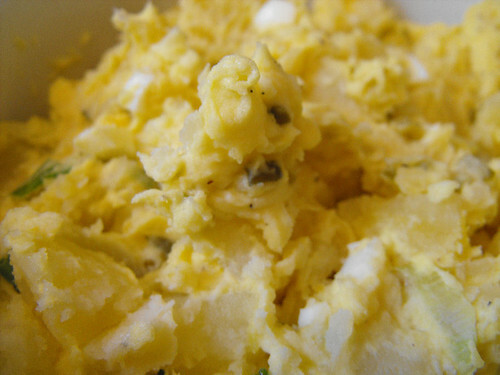 Strain the water out and transfer potatoes to a mixing bowl. 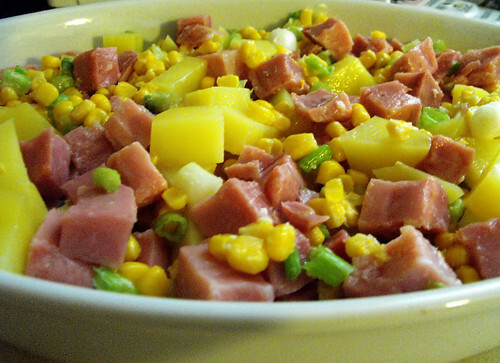 Cut into small cubes. You can serve the salad immediately or chill first, I prefer to chill it for about 30 minutes to an hour. Serves 6. Being the fourth of July, we are grilling and that means Bratwurst and hamburgers and hotdogs, but it also means the BEST Grilled Steaks. I came across this marinade a long time ago and honestly, I can't remember where, I didn't write it down just memorized it and have used it since then. 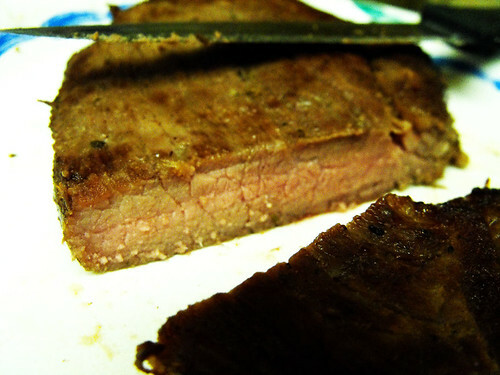 Instead of marinading steaks overnight, it takes but 3 hours until you can throw the steaks on the grill.